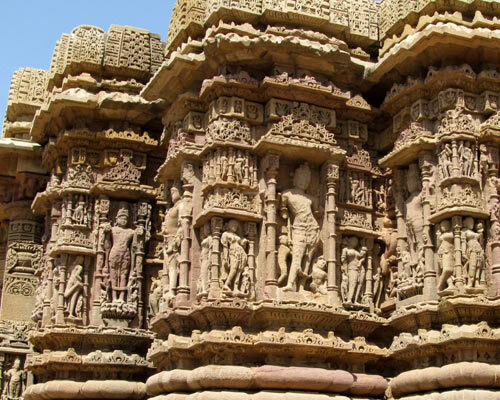 The Modhera sun temple is situated on the bank of the river Pushpavati, 25 km from Mehsana and 102 km from Ahmedabad. 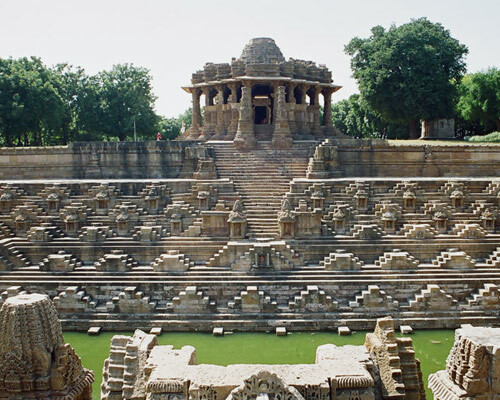 The climatic conditions in the town of Modhera are similar to other parts of the state with hot and dry summer and cool winters. Summer season experiences extreme conditions and visiting during this time is not advisable. Rainfall is limited to certain parts of the year and the temperature drops rapidly in the winter. The summer season starts in the month of March and ends in the month of May. Temperatures range from a minimum of 18°C and can go up to around 42 degrees Celsius. In certain years, the temperature has climbed to around 44°C. The hottest part of the year is May. The monsoon season starts in the months of June and the intensity of rain increases in the month of July. The months of July and August get the most amount of rainfall and this provides relief from the intense heat of the summer season. The months of October and November are a good time to visit the place as the conditions are pleasant. 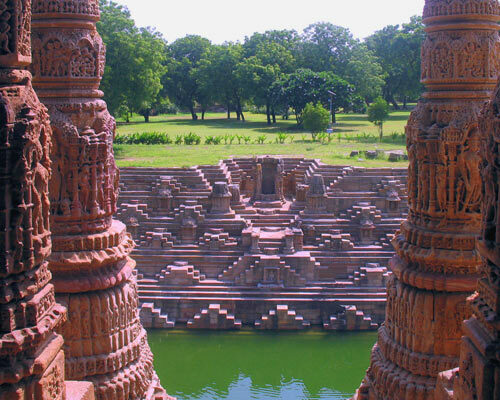 The winter season in Modhera is from December to February and the temperatures range from a minimum of 12°C and can go up to a maximum of 28°C. January is the coldest month of the year.